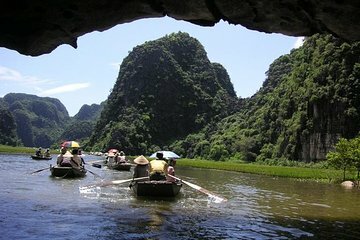 The lush rice paddies, scenic waterways, and striking karst landscapes of Ninh Binh Province lie just south of Hanoi. On this tour, cycle around Gia Vien District and the Van Long reservoir area, stop to visit a rural farm in Mai Trung, and tuck into a delicious homecooked lunch at a local family home. After lunch, cruise around the wetlands of the Van Long Nature Reserve. In the Northern Vietnam there are only two rice growing seasons: Feb - Jun and Jul - Sep. There will be other farming activities during Oct to Feb.